Yoga, which means “spiritual discipline,” originated in the east as early as 3000 B.C. Uncontested archaeological evidence depicts men in yoga meditation poses. Today, this ancient practice is more popular and profitable than ever with females dominating the practice at 72.2 percent. Between 1998 and 2008, the number of people practicing yoga increased from 12 million to 15.8 million and Americans spend more than $5.7 billion dollars a year on yoga classes, paraphernalia, videos, guides, and retreats. This figure represents a staggering 87 percent increase in spending over 2004. With millions of people practicing yoga across the U.S, along with 9.4 million non-practitioners that plan to try yoga, it should come as no surprise that yoga attracts people from all walks of life. People of all ages can practice yoga thanks to varying levels of difficulty to suit specific goals. For example, Yoga is recommended by physicians as a supplement to treat medial conditions from back pain to high blood pressure to respiratory conditions. Yoga is also believed to help treat anxiety, depression, and stress. For many, however, yoga is not used as a treatment for any given mental or physical condition. Some may use yoga as a tool to lose weight while others may practice in hopes of toning the muscles, stretching the body, and improving cardiovascular health. For these reasons, when choosing a yoga class, the first step is to determine what you would like to accomplish in these 60-90 minute sessions. The following questions will help you focus on exactly what you wish to accomplish. Once you have determined your goals, there many different types of traditional yogas that will help you reach them. ·	Are you trying to lose weight? ·	Do you have a medical condition? ·	Do you want to feel more centered? ·	Do you feel tired and want more energy? ·	Are your muscles stiff and you want to improve flexibility? ·	Are you curious about yoga and you just want to give it a try? ·	Are you trying to improve your posture? ·	Would you like to boost your confidence? ·	Do you have an addiction? Bhakti, karma, jnana, raja, mantra, laya, tantra, hatha, kundalini, and kriya are among the main traditional yogas practiced around the world. In America, you may have heard of ashtanga and bikram (hot yoga). These popular forms of yoga are not thousands of years old, but they are considered effective. Ashtanga incorporates power poses, which help to strengthen the muscles, increase the heart rate for a challenging cardiovascular workout, and stretch the muscles. Beginners should always choose a level I ashtanga (beginner). You will know when you’re ready to advance to intermediate level (level II). This typically occurs after mastering the movements and poses, and after you have developed ample coordination and flexibility. Intermediate students usually practice for a year or more before feeling comfortable at level III (advanced). Bikram is one of the most controversial forms of yoga. Because bikram is one of the most physically demanding forms of yoga (it is practiced in a room heated to 105-degrees or more), most physicians recommend having a physical exam and approval by a doctor before engaging in this activity. Bikram fans claim that the practice tones the arms, legs, buttocks, belly, and thighs. They also believe the practice reduces weight, raises energy levels, alleviates stress, improves circulation, relieves pain, strengthens the spine, and reduces the risk of sports injury. If ashtanga and bikram sound intriguing, but you still want to explore other options, one of the traditional main yoga types might be worth a try. Bhatki yoga is suited for individuals seeking well being and emotional fulfillment. Continuous flow of “love and life force” brings about a superconscious state of awareness or mood. Hatha yoga is practiced for health and vitality. It incorporates aerobic movement, and stretching to strengthen and tone the body. Hatha burns calories, clears the mind, and restores energy to the body. Tantra yoga — “pure” tantra yoga, is not sexual. The practice encourages renewal by directing the life force to rise up the spine, from the tailbone, and into the forehead. This form of yoga is believed to help control or eliminate negative habits such as overeating, drinking, and smoking. Jnana yoga incorporates neti-neti meditation to help alleviate worry, fear, and doubt. Raja yoga is another form of meditation and movement that is believed to free the mind and body of negative thoughts and feelings. The process readies the participant to experience his true nature as pure awareness, pure consciousness, and pure spirit. Mantra yoga incorporates chanting, music, and meditation. Kriya yoga is more than 5,000 years old. It combines raja, jnana, and bhatki. This practice is believed to help transform the body and mind by directing the life force up and down the spine through meditation and movement. Millions of people around the world practice this purest form of yoga. Laya yoga focuses on the “five centers” which correspond to the main areas of the spine including the tailbone, the sacrum, the spinal cord, the heart center, and the spine at the base of the neck. Karma yoga is suited for individuals interested in yoga that focuses primarily on meditation. Kundalini yoga combines raja, hatha, tantra, laya, and mantra yogas to stimulate the spiritual life force at the base of the spine. Tip: When choosing a yoga class, consider practicing at an established yoga center or quality yoga studio. The instructors in these environments typically have an average of 10 years of experience teaching yoga. This is especially important if you are considering a prenatal yoga class. 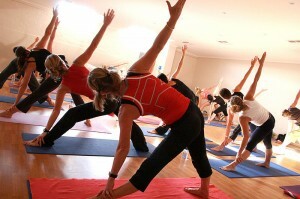 For more information about yoga study in America, visit the official Yoga Journal website at www.yogajournal.com.